What does the future of our homes, work, and the world look like? 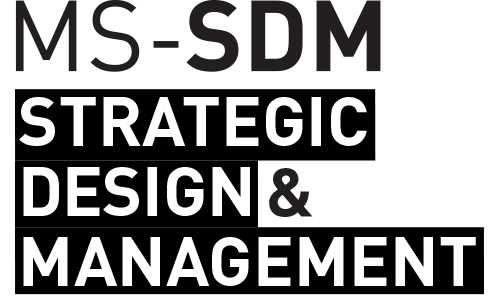 An invitation to Graduate students from SDS, SCE and DT schools to develop innovative ideas around possible futures in which technology borrows lessons from nature to help solve longstanding challenges through creative and sustainable reimagining of resources. Kick Off event at UL105, University Center, 63 5th Ave New York, NY 10003. Introduction of Lowe’s Innovation Labs team, their mission, topics of the hackathon and deliverables. LIght food will be served at U700 (7th floor)! Saturday April 22nd & Sunday April 23rd: Students will work and develop their ideas. Room Studio 603 in 66 5th Ave building from 10:00am to 11:00pm, will be available as a work space for the students. Two faculty members and a member of the Lowe’s team will be available for mentorship from 2:00pm to 5:00pm on Saturday and Sunday. 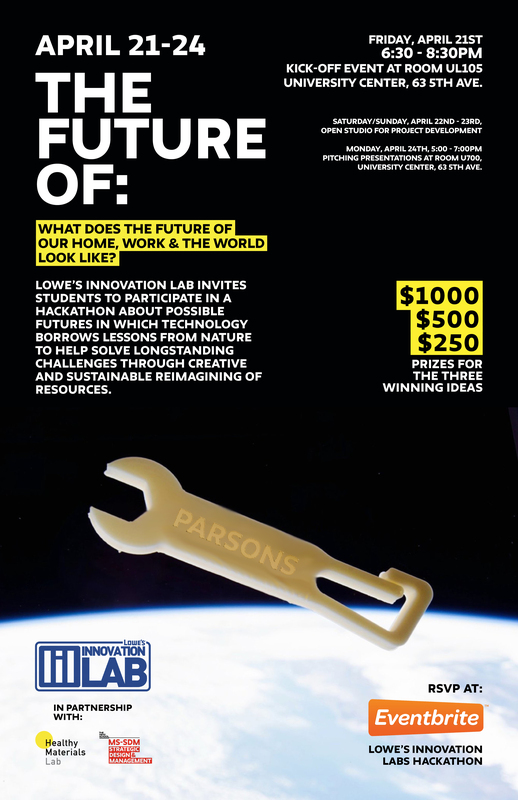 Monday, April 24th 5:00pm – 7:00pm: Students will present their ideas, projects, prototypes to Parsons faculty members and Lowe’s team. Event will be open to public. Light food will be served. The pace of change is exponential, creating an imperative for organizations to set their own narrative for the future and be proactive about building long-term competitive advantage. Narrative-driven innovation helps organizations leverage the power of story to explore how technology will change the future lives of customers and employees. Lowe’s Innovation Labs is using this process to think broadly about potential applications for disruptive technologies, build an innovation roadmap and rapidly prototype new technology in real-world, living labs. At Healthy Materials Lab we are dedicated to a world in which people’s health is placed at the center of all design decisions. We are committed to raising awareness about toxics in building products and to creating resources for the next generation of designers and architects to make healthier places for all people to live.